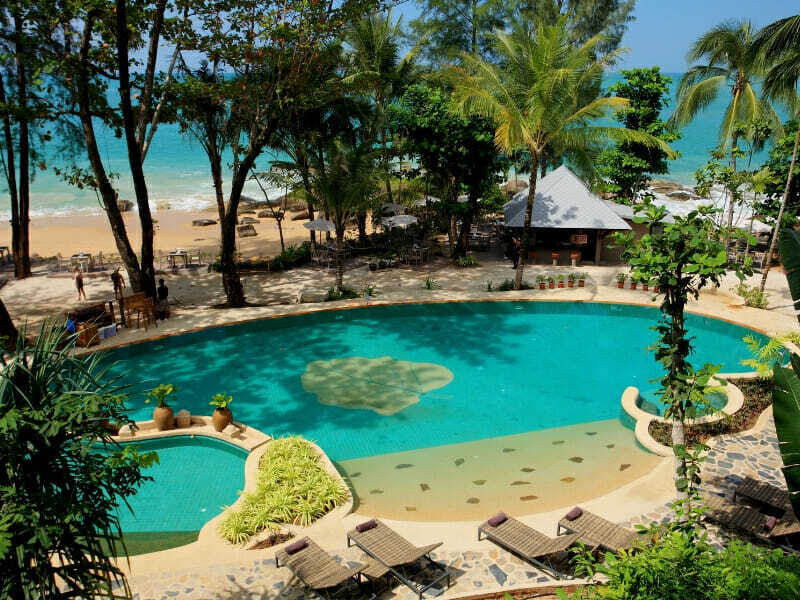 Nestled against a picturesque beach on Thailand’s lovely western coast you’ll find Moracea by Khao Lak Resort. With a beautiful sandy beach on one side and lush rainforest on the other, you’ll feel in touch with the natural surroundings. 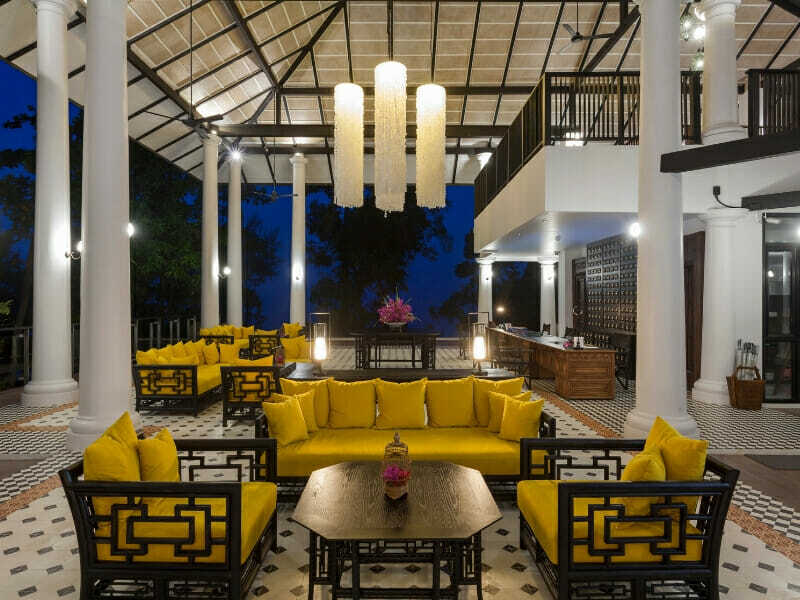 The resort has been designed and constructed with traditional Asian architectural and styling influences and has a wonderful Asian feel that is a reminder of where you are. 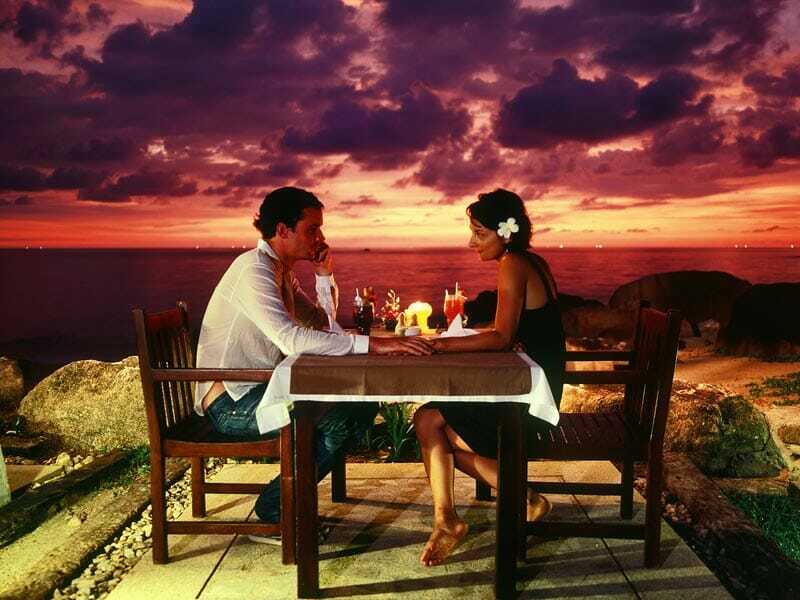 With several quality dining options, a divine day spa and lots of activities to try, this is a fantastic destination for couples, singles and groups and you are certain to enjoy every moment in this memorable destination. With 190 rooms, villas and private bungalows, the resort has a good variety of accommodation sizes and configurations to suit whatever your needs might be. The resort is surrounded by lush gardens and thick rainforest, but its focal point is the pristine beach. Stretching for 400-metres in front of the resort the wide sandy beach is great for relaxing and sunbaking or trying some water activities. There are several large free-form pools that are between the resort and the beach and create some wonderful spots to kick-back in a sun lounge and sip a cool drink from the swim-up bar or one of the beach bars that are right beside the pools. 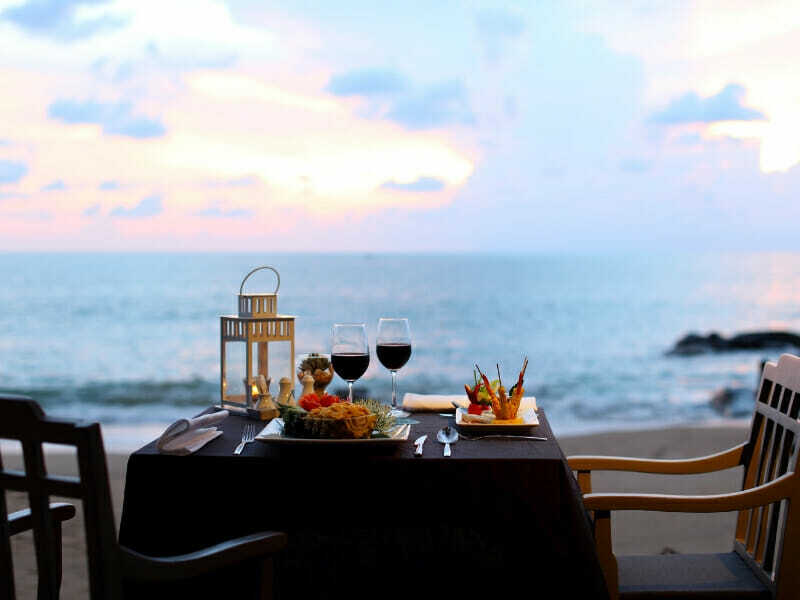 There are some fantastic dining options at the resort, with the signature Malila Restaurant offering a mix of international and traditional Thai cuisines, all served in this fantastic beachside setting. Enjoy a wide range of dishes including their fresh seafood specialities that has been locally caught and prepared with passion and creativity. Lighter meals are available from the beach and pool bars. Baimai Spa is a peaceful retreat set amongst the rainforest and focuses on natural body health treatments and massages. Walk away feeling restored and renewed after personal attention from one of the friendly and experienced practitioners. 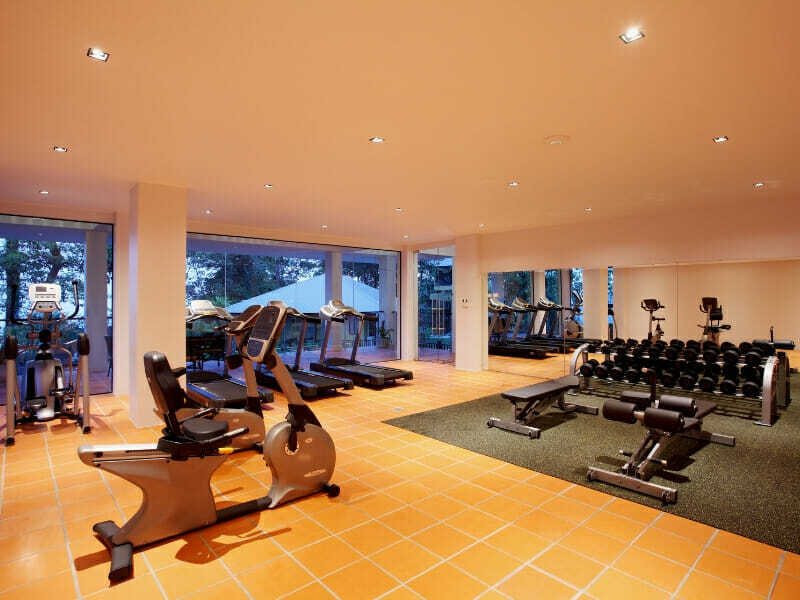 If you’re looking for a way to keep fit during your stay, the fully-equipped fitness centre is packed with cardio equipment, resistance machines and free weights. The Kids’ Room is a safe and exciting space for the little ones to enjoy a range of fun activities and there is also a games room that is suitable for both adults and older children. 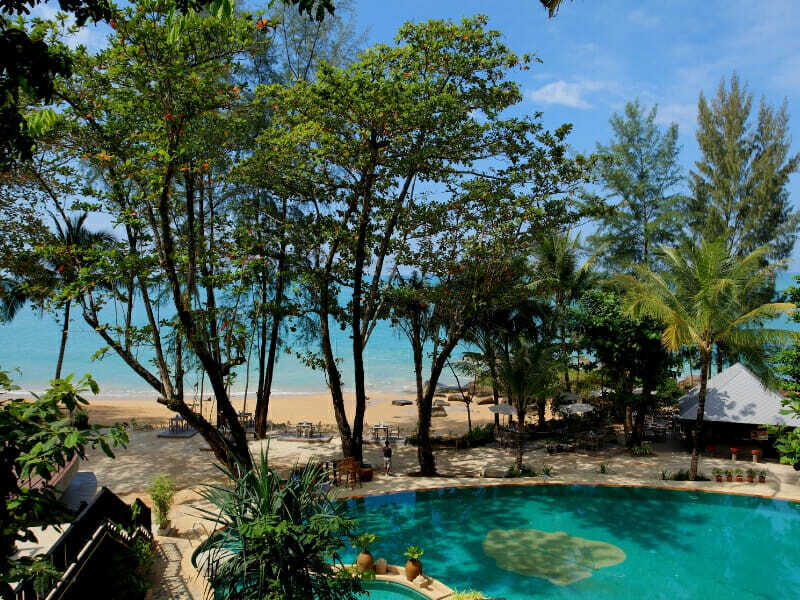 Why Go to Moracea by Khao Lak Resort? 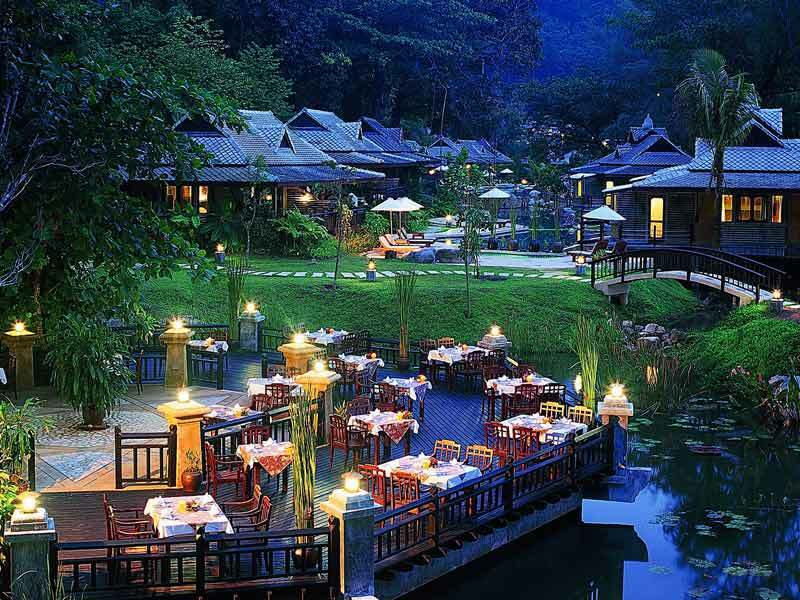 This is a beautifully presented resort that sits on a scenic and pristine part of Thailand’s coastline. If you enjoy a resort that is immersed in the natural surroundings and slightly removed from many of the major tourist areas in the region, this is a perfect choice. 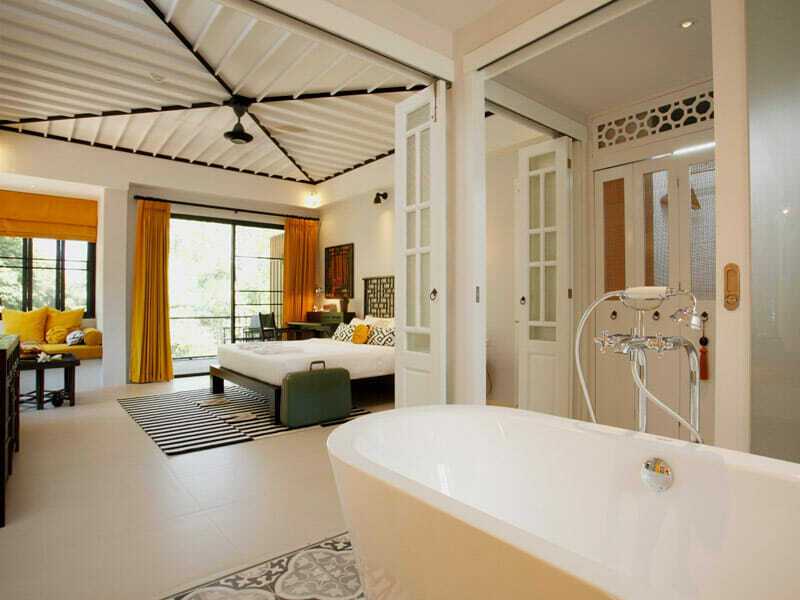 It is ideal for a quiet getaway that will leave you feeling reinvigorated and refreshed. There are still lots of things to see and do at the resort and in the surrounding area, so you have plenty of choices when deciding how to spend your time. 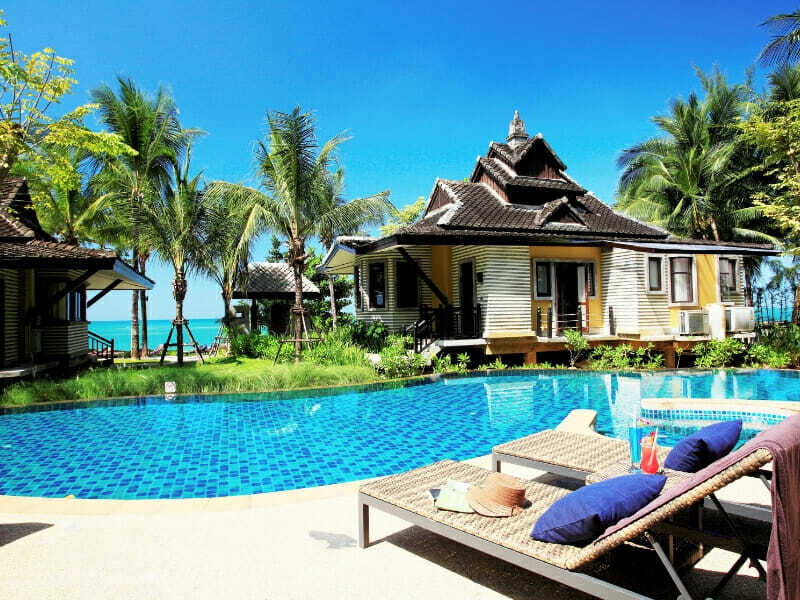 If this sounds like your perfect holiday to Thailand, give us a call now on 1300 008 424! At 40sq. metres in size this room has generous space that has been well designed to create an open and comfortable feel. The modern styling has a definite Asian influence in the colours, furniture and artwork. 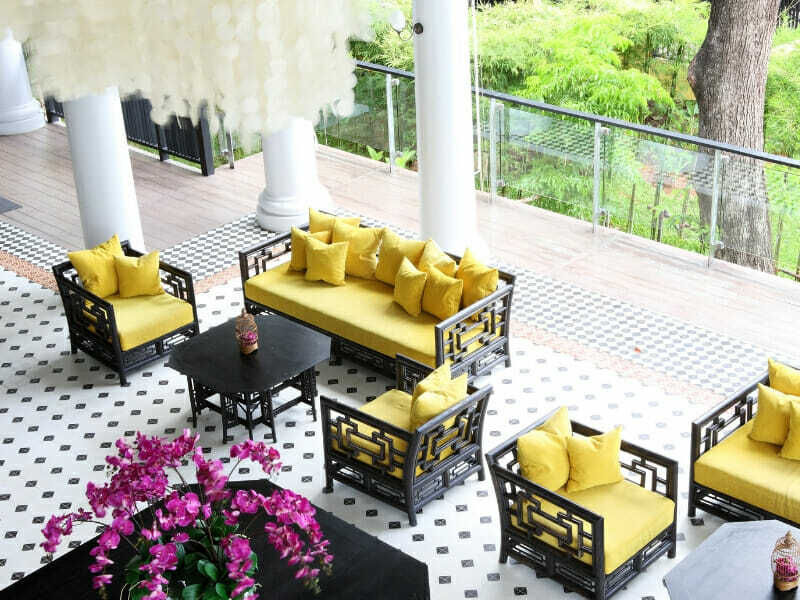 The room has views of the lush tropical rainforest from the furnished private balcony where you can relax with a cool drink and enjoy the warm Thai weather. There is air-conditioning in the room and for entertainment you have a 40-inch TV with cable TV channels and Wi-Fi. You’ll also find a refrigerator, a safe to keep your valuables secure, a working desk and facilities for making tea and coffee. With a large sliding door that leads directly to the pool, this 50sq. metre room has a light and open feel. 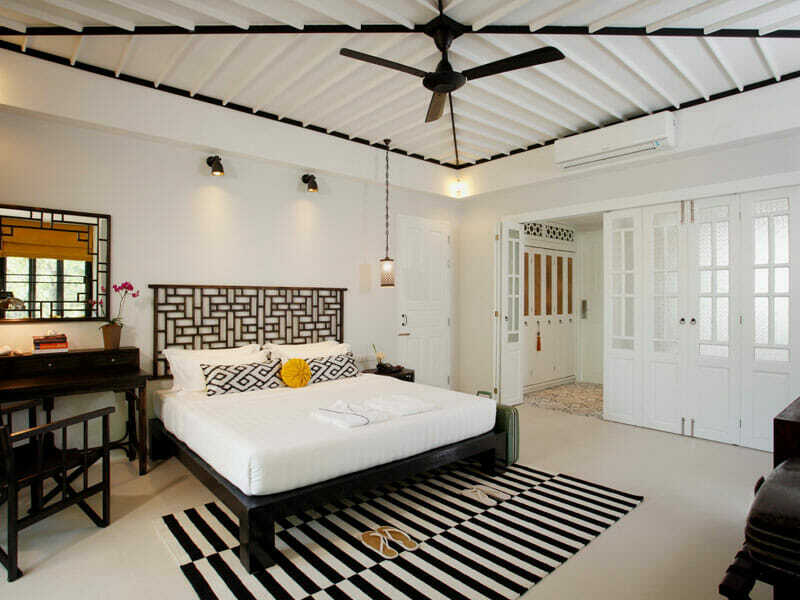 The Asian styling is refreshing, leaving you with a comfortable and spacious room to enjoy. The room will have views of the pool area and in some cases the surrounding rainforest. You have either 1 King-size bed or 2 Twin beds and the room has a maximum occupancy of 3 guests. The deluxe bathroom has a rain shower and a separate bathtub, so you can have a relaxing soak at the end of a long day. You can make tea and coffee in the room and you also have the use of a refrigerator. 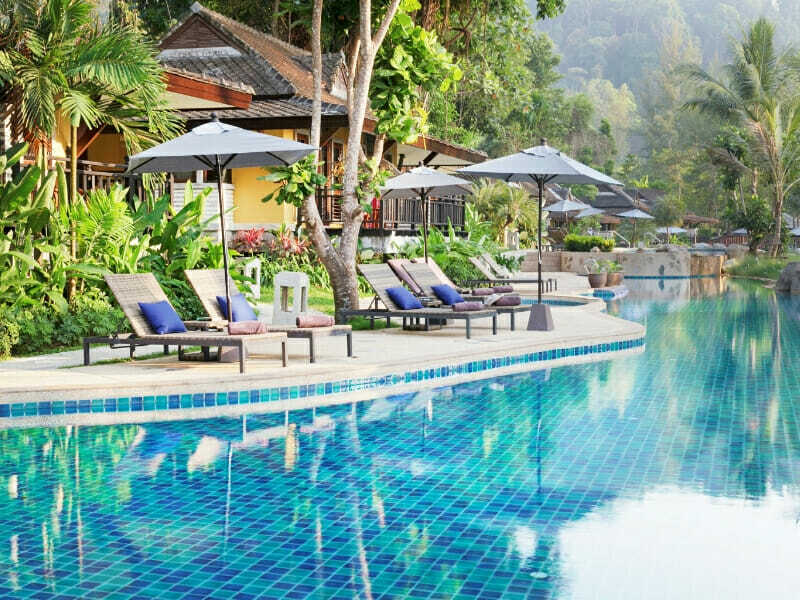 If you find the Thai sunshine a little warm, you can retreat to the air-conditioning and enjoy the large-screen TV with cable TV channels and free Wi-Fi access. 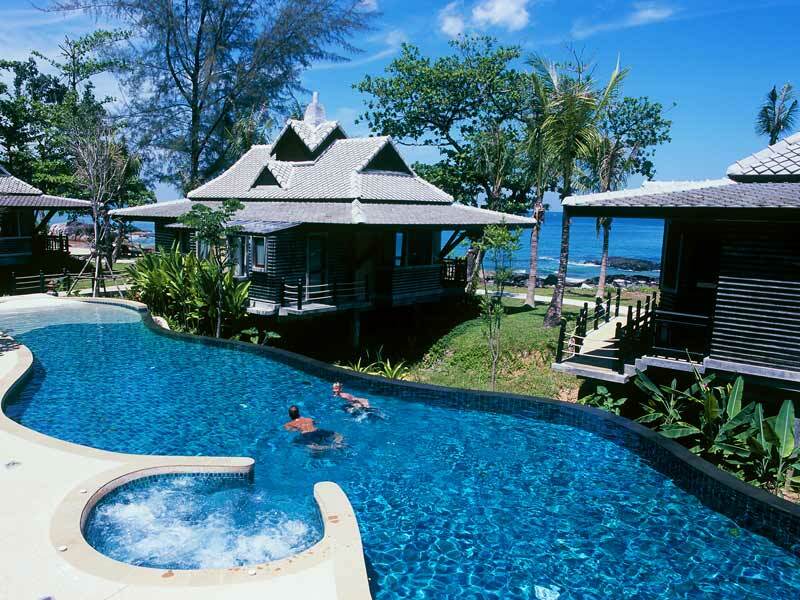 The resort is located at Khaolak on Thailand’s western coastline, north of Phuket. 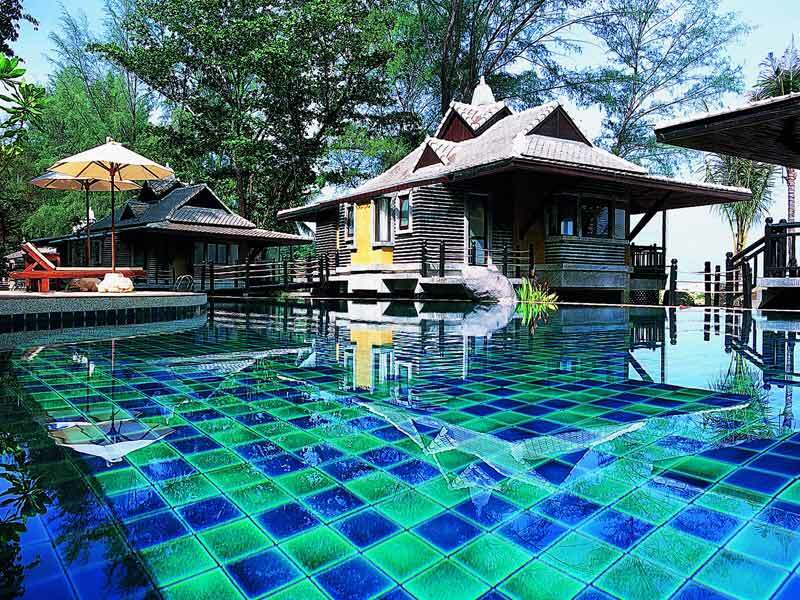 It is a 45-minute drive from the international airport at Phuket to Khaolak. You will find pristine coastline here, with golden sandy beaches and thick, lush rainforest all around. The Khaolak National Park preserves vast tracts of land and wildlife habitat in this area and can be found very close to the resort. 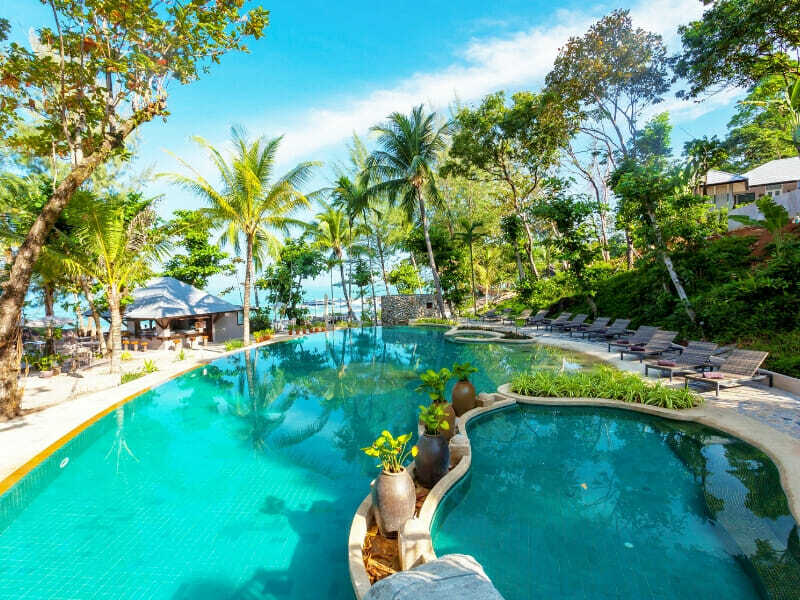 The resort is perfect for you to enjoy some quiet time relaxing around one of the pools, soaking up some wonderful Thai weather, or sunbaking on the sandy beach. There are plenty of options here to unwind and take it easy. You’ll also find other things to try in the resort, especially water-based activities. However, when you are wanting some more active ways to spend your time, this whole region is loaded with interesting and fun things to do. Try a jungle elephant trek on these specially trained gentle giants. Learn interesting facts about the elephants and their natural habitat and finish the day at a waterfall and swimming hole. Traverse the crystal-clear waters through the national park on bamboo rafts, learning about the terrain and wild animals that inhabit this area. Maybe you’d enjoy a kayaking tour through the coastal mangrove forest where you will see an abundance of marine life and learn about this diverse environment from local experts. There are several day trips available to visit various islands and parts of the coast here that are interesting and historically significant. You will be staying in a quieter part of the region, but there is no shortage of fun ways to send your time. Great hotel, massive rooms, very modern, staff were great, food was fabulous, and the beach and the beach bars were great and not over-priced. The beach is beautiful and I would definitely recommend this hotel if you’re looking for a quiet getaway!